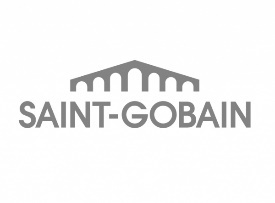 Saint-Gobain is a French multinational corporation, founded in 1665. Working KnowledgeCSP worked with Saint-Gobain’s Northboro Research and Development Center to pilot proven knowledge capture techniques with key departing employees and to create an organic and sustainable capability for Saint-Gobain Northboro to plan and execute knowledge capture and distillation in the future. Working KnowledgeCSP developed tailored training for the Saint-Gobain Northboro knowledge management team to help the team to develop the skills necessary for preparing a capture strategy, interviewing and capturing knowledge from individuals using a proven Working KnowledgeCSP knowledge elicitation and interview process. The solution included a set of lessons learned and advice for future application of knowledge elicitation interviews, distillation, and other knowledge capture strategies as well as the design, development, and publication of KM guides tailored to Saint-Gobain Northboro’s workforce dynamics and culture and training needs. Finally, Working KnowledgeCSP coached the Saint-Gobain Northboro KM Team not only through several knowledge capture interviews, but also introduced the skills necessary to distill and characterize the captured knowledge for reuse.